All recordings available for €12, + €3 postage, please send a message in the field below and we will contact you with all necessary information. Hand made art work by Pascal Nichols. Limited edition. Ground Effect (Play ) 19'44"
Recorded at Jackson Lane Center, London. Recorded at Bonnington Center, London. Recorded at Oklahoma Café / Gallery, Manchester. ‘The Lived Experience of Improvisation is a tremendous resource that should be included in every institutional music course syllabus …’ Brian Jude de Lima, Journal of Radio and Audio Media, 2018. ‘… makes an important contribution to this growing field of study.’ Nick Sorensen, The British Education Research Journal, 2018. To purchase please send a message in the contact field in the left column below. Rose S.D. (2018) 'When law listens'. Critical Studies in Improvisation. Rose S.D. (2017) The lived experience of improvisation: In music learning and life. Bristol, UK/ Chicago, US. Intellect. Rose S.D. Mutual composing: practice led research: improvisation in dance and music. In S. Quinten S. Schroedter (Eds. ), Tanzpraxis in der Forschung – Tanz als Forschungspraxis. Bielefeld, Germany: Transcript (2016). Simon Rose presentation ‘The lived experience of improvisation’ and solo baritone saxophone. Soundance Festival Symposium, Dock 11, Kastanienallee 79, 10435 Berlin. 22nd June 2019. Simon Rose presentation: ‘The lived experience of improvisation’ at ‘Improvisation as Design Practice’ conference. Hochschule Düsseldorf University of Applied Sciences Peter Behrens School of Arts Fachbereich Design Münsterstr. 156 40476 Düsseldorf, Germany. 3rd May 2019. Simon Rose baritone saxophone, Deniz Peters piano. ‘Emotion and improvisation’ presentation, performance. European Platform for Artistic Research in Music (EPARM). Concert Studio. Gheorghe Dima Music Academy, Cluj, Romania. 28-30 March 2019. Performance and panel. ‘Improvisation: Philosophical Re-Scriptions'. Maschinenhaus der Kulturbrauerei, Knaackstraße 97, 10435 Berlin. 12th, 13th July 2018. ‘The lived experience of improvisation’. Book presentation, performance. Exploratorium, Mehringdamm 55, Berlin. 23rd November 2017. Research presentation and performance: Deniz Peters piano, Simon Rose baritone saxophone: "Relational Improvisation and Shared Voice: Artistic Research into Musical Empathy", Regarding Artistic Research Forum, Norwegian Theatre Academy, Østfold University College, Norway 18-20th October 2017. Presentation and perfromance:‘The human capability of improvisation’ 2ndNovember 2016. Universität du Kunst (UDK), Berlin. Hochschulübergreifendes Zentrum Tanz, Uferstudios, Uferstr. 8/23. 13357 Berlin. 18-19h. Rose uses the properties of his 1932 Conn baritone saxophone for parallel tone experimentation. Cannily he not only takes advantage of the mammoth horn’s expected blurry and subterranean brays, but also highlights the glottal multiphonics that result from playing widespread passages altissimo. Among the sounds swelling up and diminishing from his horn are a volley of percussive tongue slaps strident enough to resemble gunfire…. a faint Arabic insinuation creeps into Rose’s playing on “Crater Lake”, especially in his choice of substitute notes. Tessitura slurs are more prominent elsewhere, as powerful thrusts against metal create multi-phonic cries at higher and lower pitches. Rose’s flutter tonguing also doubles and triples as he stutters and sequences note patterns which arise and disappear in split seconds. 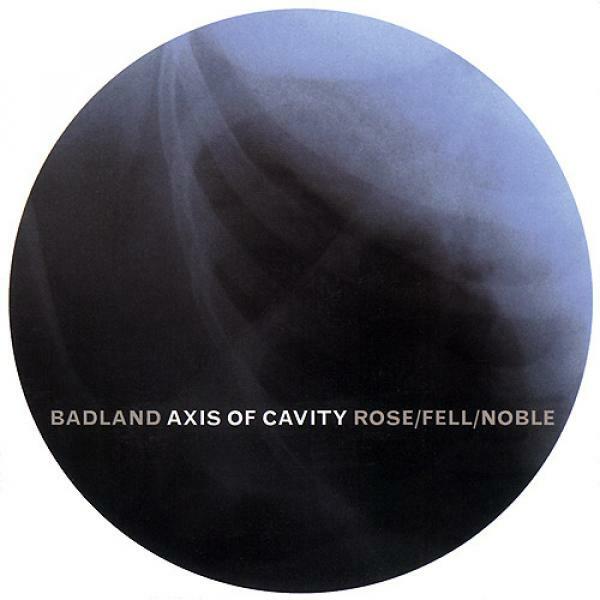 Expressed in broken octaves, a tune such as the title track may include bagpipe-chanter-like swells… which remain chromatic despite juddering slurs and contracted tongue slaps. Tracks like “Eel Feeler” in contrast bulge with crunching growls and stentorian reverberations that confirm the horn’s lower-depth power. British saxophonist Simon Rose had already released a solo alto album, yet now he takes on a similar project with the baritone, and with stunning results. From the beginning till the end, this is an extremely captivating performance, entirely improvised, but with a rare emotional power. If the first track gives a kind introduction into the concept, the second piece starts with a phenomenal cry that will resonate till the end of the album. Rose explores every emotional aspect of the sound he can get out of his instrument, extremely raw, but then delivered in a slow, inevitable way. There is no urgency at all. Just the endless wails of despair, of anger, of sadness, or if you wish even deep resonance with the universe. The depth, the heaviness of the sound, the multiphonics and circular breathing, the vibrations, the bending of tones, all contribute to giving a kind of natural primeval quality. This is a great free music record, it sounds as experimental and furious as those than of the FMP / INCUS / RING era… but terrifically modern! 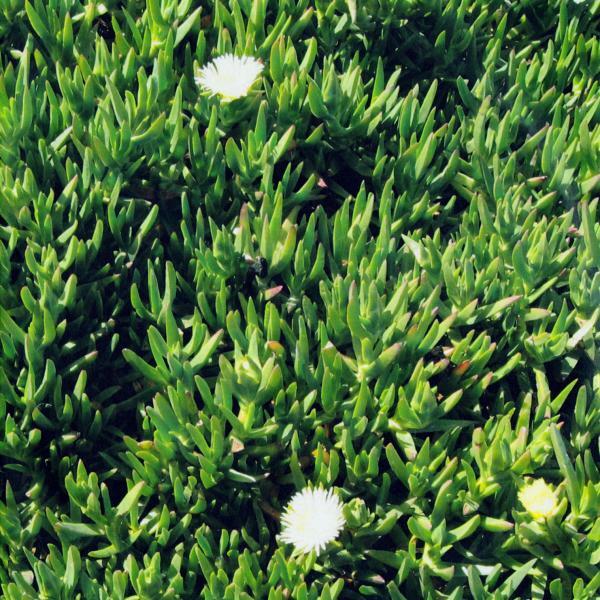 … The first time the record is over, you just want more. With enjoyment… This is a best kind of improvised music, either you’re more into its global soundscaping or its very musical quality along the many blazing improvisations that have been recorded from this Berlin show. Simon Rose gets angrier while he makes his baritone bark (or trumpet) to some kind of gritty basses. Circular breathing is used to transform the sound or slide from one harmonic to another, with a great feeling for details and the ability to whistle at the edge of silence or for a contrasting loud outbreak. His partner has the solid imagination required to make his machine talk. The perfect independence of these two improvisators and their ability to play in such different genres and coordinate their efforts stimulates any listening (both normal listeners and musicians), and push the two artists to take off towards a permanently unsatisfied research. They literally do the splits in their inspiration but always gather on magical and unexpected convergences. This is a very remarkable duet. Many famous people playing so-called “free” improvised music don’t perform any better and sound any more interesting. Therefore, if you enjoy real free improvised music, with no additive, go and get this wonderful FAUNA and its authors. PS: Please do have a look on Rose’s Schmetterling, where he plays solo on baritone (Not Two) and Procession, on alto sax (FMR), who are two major records. The multi-faceted “Felt” gives you a glimpse into a sonic world you never knew existed – somewhere between cave-days and the deepest, darkest jungles of today, inhabited by strange creatures you’ll never find in a zoo. I’ll tell you right up front, though, if you’re an “MOR” (middle of the road) listener, you’ll never make it out of the forest! That’s especially true when tunes like my favorite of the 8 on the CD, “Zwischenfall” are trippin’ you out… leave the acid in the closet – you won’t need it! I give this duo a MOST HIGHLY RECOMMENDED for those into the “far out” spectrum of music, with an “EQ” (energy quotient) rating of 5.00 – which, of course, means that they also get the “PICK” of this issue for “best strange music”. Extended saxophone technique is just another term for deep space exploration and indeed, saxophonist Simon Rose is a musical cosmonaut. As a space traveler, he has released a couple of solitary saxophone expeditions on alto Procession (FMR, 2007) and a stunning baritone recording Schmetterling (Not Two, 2011). He provides a diverse and intriguing menu of tone manipulation, multiphonics and circular breathing. With Fauna he shares the voyage with sound artist Paul Stapleton and his bonsai sound sculpture. Described as a portable modular musical instrument that combines a repurposed turntable, electronics, amplified metallic percussion and strings, the BoSS is part Blade Runner and part Plan 9 From Outer Space. Like Rose's serpentine routs, Stapleton's BoSS is a spluttering, droning, pitch-altering generator that is as otherworldly as Simon's baritone. The pairs' improvisations could be the migratory songs of android whales or the piezoelectric abrasions that develop inside an old timepiece. Without the visuals, the sounds constructed are chimeric fantasies. Very fine collaboration between sax player Simon Rose and Paul Stapleton, who makes and plays bonsai sound sculptures. Nice blend of ideas and sonics between alto/baritone sax and metal percussion. Rich and thoughtful playing. 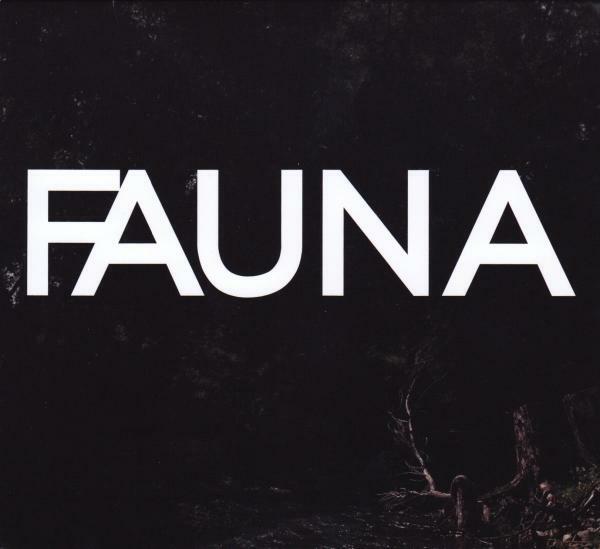 Fauna is a wonderful mixture of two disparate instruments, self-compelled to find a bond… the fervent, alien textures created from a reed and a box of tricks are ear-prickingly inviting. For the opener, "Borealis", the duo comes out swinging with Rose's staccato hiccups and Stapleton actively rattling his machine (think prepared piano sounds). They swap melodies, ranges, attitudes and occasionally bisect points of interdependence with Rose carrying the last few minutes in a rapid, vibrating, pulsing murmur. On "Felt", Stapleton demonstrates his ability to deconstruct the notion of turntablism which he takes from mere abstract scratching to mechanical purrs to mouse song to dog whistle to electrical misfires; Rose is patient, fading a warbling ostinato in and out of tempi and dynamic swells. The duo is deft at keeping a tense bubble of intrigue on "Deep" and "Zwischenfall", where space and pause are incorporated to enjoy the whisper and spittle, resonance of bells and strings and rumble of thumps. Stapleton and Rose blend these techniques, incongruous colors and shapes throughout the disc, eventually closing out the finale, "Vertreiben", with a bulbous, static drone cloud. Stapleton and Rose successfully smooth out the seams and stiches of this Frankenstein with a sensitivity to their craft and each other while exploring an uncharted android aesthetic. One thinks about musical inventor Harry Partch who tried to find an almost more refined musical dialect, or replace Latin with Sanskrit as a baseline for his and his client's endeavors; however — and no insult to Partch — whereas he sought an extension, this duo looks for what's on the other side. 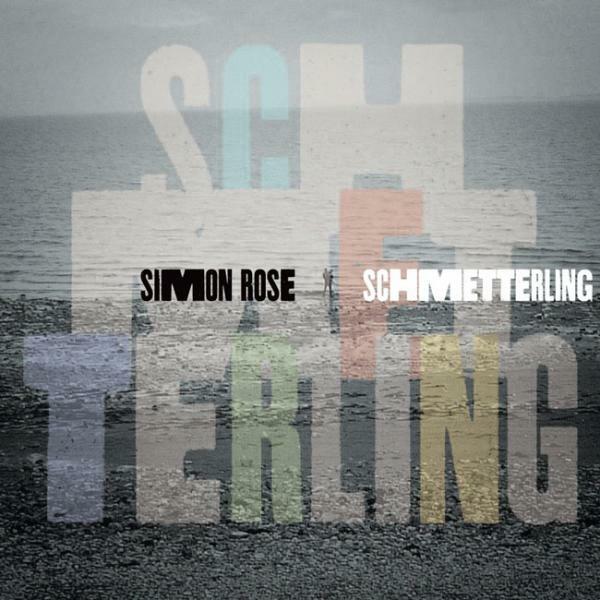 Baritone and alto saxophonist Simon Rose and pianist Stefan Schultze met in 2013 in Berlin, and even if the first came from the free improv scene and the second from a more standard jazz background, their collaboration on this album makes you wonder about these different perspectives because it all sounds so seamless and integrated. On eleven improvisations these two musicians find a wonderful balance between ferocious destruction and sensitive construction, starting with their instruments, as the piano is prepared with all kinds of plastic sticks and bags, and Rose is a real fan of circular breathing, rhythmic tongue slapping, and other harder to define techniques, yet at the same time, and despite the obvious harshness, the music strikes a deep emotional chord, like a cry full of agony and pain, with vulnerability and even tenderness and intimacy. And that may explain the title, as "The Ten Thousand Things" is a Buddhist expression of all the things that make up our world, and their musical reflection gives us this: a myriad of sounds and interactions that make us feel these 'ten thousand things', with all their qualities, and complexities and simplicities and gentleness, and so much more. It is one of those albums which take you over completely, and because of its emotional power, it has been a soothing album for me, and listening to it dozens and dozens of times, the raw sensitivity of the baritone, the bell-like sounds of the piano, the physical intimacy, the sometimes violent percussiveness, matched the emotional need of your humble servant, at moments when he felt he wanted to smash the things around him while at the same time needing some consolation and sympathetic sentiments. Apologies for the subjectivity, but there is no other way to approach this music: you love or you hate it. This guy loves it. 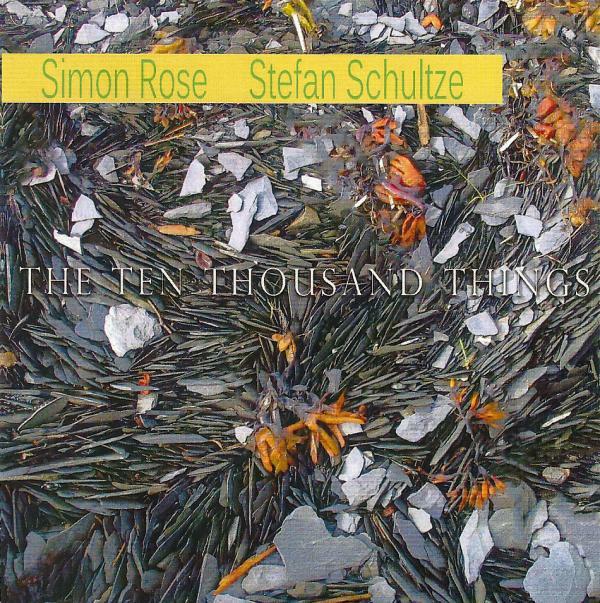 … Simon Rose and Stefan Schultze come across less like mad scientists and more like dedicated epistemologists … and like the Lone Ranger and Tonto riding in tandem, for every extended technique exposed by Rose, from tongue slapping to atonal smears, Schultze has an approapriate response or goad, plucking, stopping, pushing and sliding along his strings, and with implemets such as bowls, bells and mashers vibrating atop them… Rose’s split tones allow him to play reed strategies that are simultan­eously mellow and rickety or skyscraper high and copper mine low at the same time; while Schultze’s strategies create equivalent concur­rent textures inside and outside the piano. Leviathan Blues is a fine demonstration of this. The pianist’s stretching the strings while percussively key slapping creates a rhythmic backbeat which expands to meet the saxo­phonist’s theme variations that likewise widen and become more dissonant as Rose plays. Altissimo reed agitation brings out equivalent kinetic key pummeling, until a simple pedal-push counter-theme calms the woodwind cyclone enough to move Rose to singular honks that finally meld with solid­ifying key vibrations. By the time the last note sounds at the end of this CD’s 11th and final track, if the two haven’t exposed the sound textures from 10,000 things they’ve certainly come close to doing so. A great duo. Very happy that an artist as original as persistent and saxophonist Simon Rose sees his excellent effort in the company of "preparer" pianist Stefan Schultze and published by the celebrated Québecois label Red Toucan, whose catalogue of important musicians includes: Leander, Parker, Liebman, Golia, Brötzmann, SH Fell … Simon Rose has developed a truly remarkable personal journey into the saxophone world improvised Evan Parker, Coxhill, Mitchell, Mc Phee, Leimgruber, Brötzmann, Gustafsson …. The work of the pianist is also outstanding, powerful and expressive despite desired sobriety and avoiding discursive digitality. The piano is transformed into a sound machine via secret agreements and selected intervals… One of the finest albums of improvised music from the past few decades, - lyrical, uncompromising, communicative, sincere and emotional. ‘There are solo saxophone records, and then, there are the solo saxophone records that transform the instrument into an orchestra; effect is superseded, or rather transmogrified, moving away from virtuosic display and becoming an essential part of the instrumental language. ‘Procession’ is one of the finest statements from the saxophone I have ever had the pleasure to experience. Over three extended pieces, recorded in concert, Simon Rose proves himself a student history, but not a slave to it. Each piece is encyclopaedic and grandiose without pretence, as witnessed in the opening of the aptly named ‘Ground Effect’. Ayleresque vibrancy, honks and controlled shrieks are tempered by multiphonics akin to those of more recent John Butcher ventures, the overtones finally pervading the texture, themselves forming shards of sub melody. Beyond all that I never knew a D-flat could contain so many colours, returning at the end of the piece with new clarity. ‘Still’ begins on exactly the opposite side of the sonic spectrum, short sharp cascades of notes precipitated by hollow clicks, giving way to subtle streams of liquefied air. The mushy trills of ‘Wind Conditions’ exemplify just how much can be contained in a small interval, whether in pitch or timbral space. Rose darts between these universes with ease and consummate skill. However, none of these descriptors can ever even approximate each journey, free but absolutely logical, the best blend spontaneity and improvisation imaginable. Rose seems to be able to turn on the creativity without any warm up, if indeed these recordings represent complete sets of music. The recordings retain the ambiance of the respected venues, complete with applause from fairly small but appreciative audiences. The music fair blisters along, all three participants being on pretty fearsome form, and when you’ve heard it, it stays heard…Groups like this are about interaction, the on-going group dynamic. 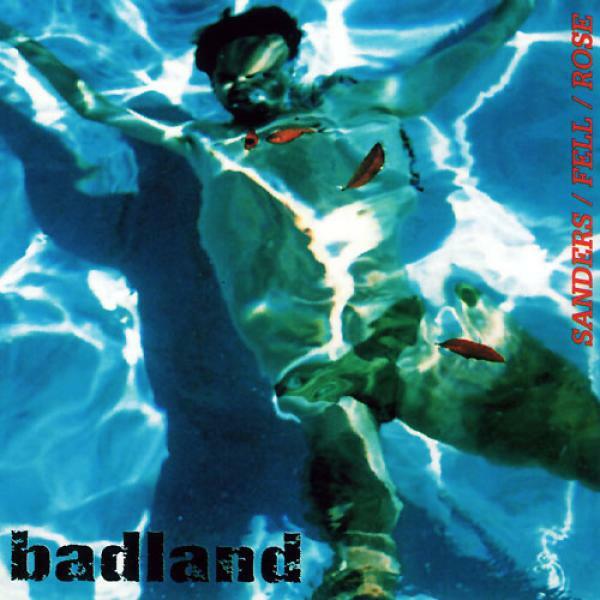 Badland keeps everything together but on the edge. ‘Vivid free bop from a highly accomplished trio who venture gamely out into new and lawless territory, bringing new ideas and a freshness of diction to this challenging idiom’. 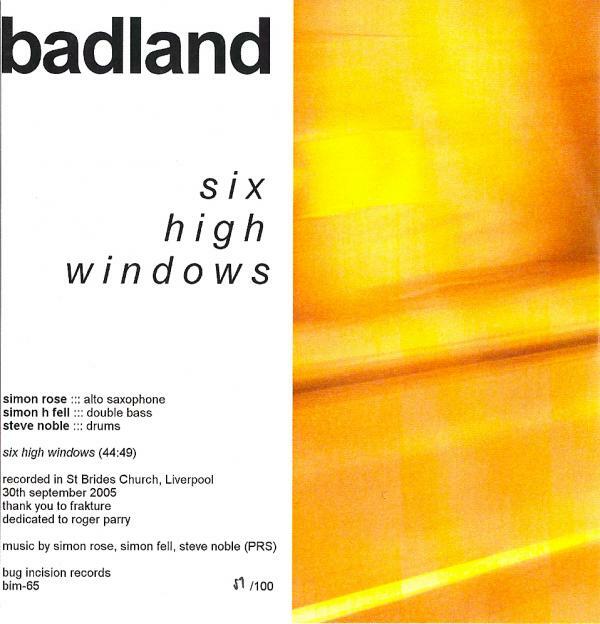 ‘Badland can engage in delicate spontaneous interplay or volcanic eruption, often in the course of one short piece. Hear Mark Sanders’ great command of percussive pulsed and unpulsed options, bassist Simon H. Fell’s impressive extended techniques, and Simon Rose’s versatile soprano and alto sax. Hyena’s Finger rises instantly from near-silence to fever pitch. The band tackles tuneage too – there’s a meaty reading of Duke Ellington’s ‘Come Sunday’ and two versions of Ornette Coleman’s ‘’Sadness’. Here is Simon Rose, a baritone sax-ace and resident of Berlin, with percussionist Willi Kellers, (known for his work with saxophonists Ernst-Ludwig Petrowsly, Thomas Bergmann, Peter Brötzmann and pianist Keith Tippett), and bassist Jan Roder, (a colleague of Rudi Mahall, Alex von Schlippenbach, Axel Dörner). ‘New World’ contains interesting pieces, bewitching and completely improvised in the moment. 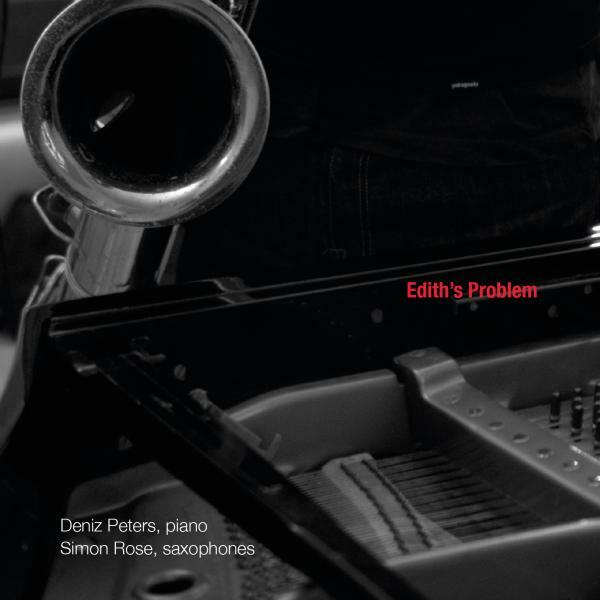 It's no wonder that the saxophonist is on track: recently, he hit the headlines with two pianists: ‘Edith's Problem’ with Deniz Peters (Leo, 2017) and ‘Ten Thousand Things’ with Stefan Schulze (Red Toucan, 2016): beautiful, subtle, physical and uncompromising works: the art of marrying the primal scream with the subtleties of chamber music. 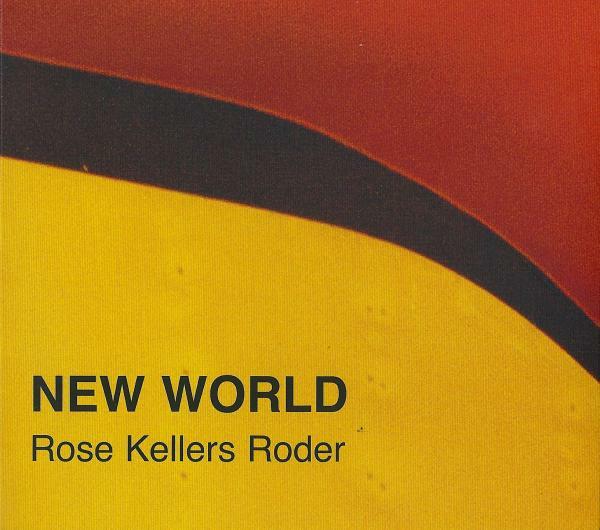 ‘New World’ starts off with incredible power and an energetic breeze that harnesses the overtones of the big copper pipe … Willi Kellers is a subtle polyrhythmist with a ‘typing’ quality and musical imagination that he translates into exceptional sounds. He’s a real free drummer, with a unique identity - varying effects, employing accessories with subtlety. Jan Roder’s technical strength allows him to vibrate the wholeness of the double bass’ body in all its splendour. Each of the seven pieces has its own orientation, a distinct cadence and development … it is only with baritone sax that … [Rose] stretches the ribbon of his findings, moods, sounds, and greasing loops in continuous breath, creating a personal universe completely in phase with his two partners. Congratulations on this beautiful album that releases the free in "free jazz"... A new world. Simon Rose baritone baritone saxophone, Philippe Lemoine tenor saxophone. REH, Kopenhagener Str. 17, 10437 Berlin. Simon Rose baritone saxophone, Philippe Lemoine tenor saxophone. Hosek Contemporary, MS Heimatland (by Fischerinsel 3)10179 Berlin. ‘Improvisation in music, dance and elsewhere’, a workshop led by Simon Rose and Ingo Reulecke (dance). This experiential session is for musicians and dancers of all levels of experience. We also positively encourage those from other fields and interests, within and also beyond artistic practice to participate. 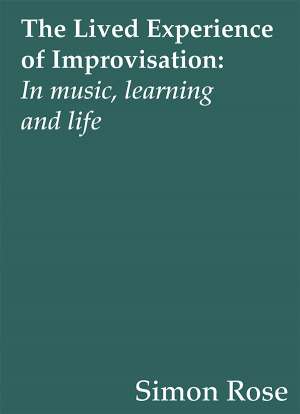 The session asks the question: what is improvisation? 11-18h. Booking: https://exploratorium-berlin.de/en/anmeldung/ Exploratorium, Mehringdamm 55, (Sarotti-Höfe), Aufgang C, Berlin 10961. Details: https://exploratorium-berlin.de/en/workshop/2019-05-04-improvisation-in-musik-tanz-und-anderswo/. ENS EKT: Adam Pultz Melbye double bass, Paul Stapleton sound sculpture, Simon Rose baritone saxophone. Sowieso, Weisestrasse 24, Neukolln, Berlin 20.30h. Gdank, Poland. Julie Myers score, Simon Rose baritone saxophone. ‘NEW COMMUNICATION’ by ENS EKT: Adam Pultz Melbye double bass, Paul Stapleton sound sculpture, Simon Rose baritone saxophone: performance and installation. Artist Homes, Hohenzollerndam 120, 14199 Berlin Map: http://artist-homes.com/location.html. Supported by INM. Simon Rose baritone saxophone, Nicola Hein electric guitar. Hosek Contemporary, MS Heimatland (by Fischerinsel 3)10179 Berlin. Simon Rose baritone saxophone, Deniz Peters piano. European Platform for Artistic Research in Music (EPARM). Concert Studio. Gheorghe Dima Music Academy, Cluj, Romania. Simon Rose baritone saxophone, Michiyasu Furutani dance. Plus program. Loophole, Boddinstr. 60, 12053 Berlin. 21h. Simon Rose baritone saxophone, Kriton Beyer daxophone. Plus program. Loophole, Boddinstr. 60, 12053 Berlin. 21h. Simon Rose baritone saxophone, Kriton b daxophone. Halle 6, Munich. Simon Rose baritone saxophone, Deniz Peters piano. Hochchule fur Musik und Tanz, Köln. Simon Rose baritone saxophone, kriton b daxophone. Ian Stenhouse Exhibition Opening, ill Galleries, Hackescher Hof, Rosenthaler Straße 39, Berlin. Open from 18.00 Music at 19.00. ‘Warteland’ a drawing installation by Lena Czerniawska with Simon Rose baritone saxophone, Philippe Lemoine tenor saxophone. Galerie Bauchhund, Schudomanstr. 38, 12055 Berlin. Exhibition from 19.00. STATION. Nicola Hein guitar, Simon Rose baritone saxophone, Ingo Reulecke dance, Bruno Besana text, Claudia Schmitz video. Exploratorium, Mehringdamm 55, (Sarotti-Höfe), Aufgang C, Berlin 10961. 20.00h. Funded by INM. 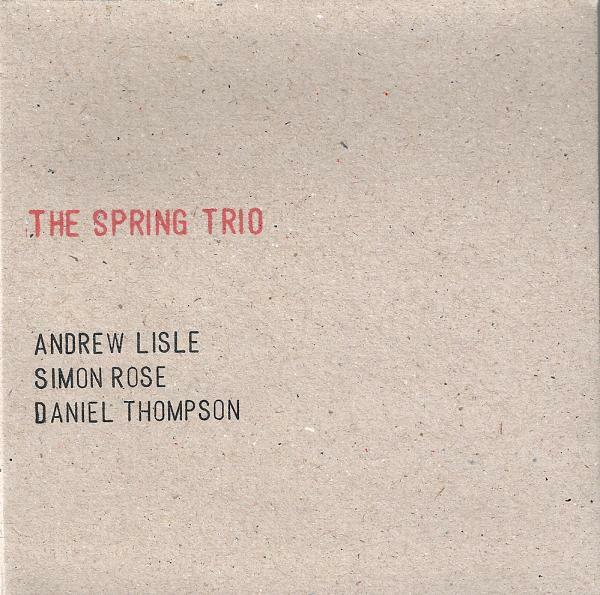 ENS EKT:Adam Pultz Melbye double bass, Paul Stapleton sound sculpture, Simon Rose baritone saxophone. Plus t.b.c. Loophole, Boddinstr. 60, 12053 Berlin. 21h. 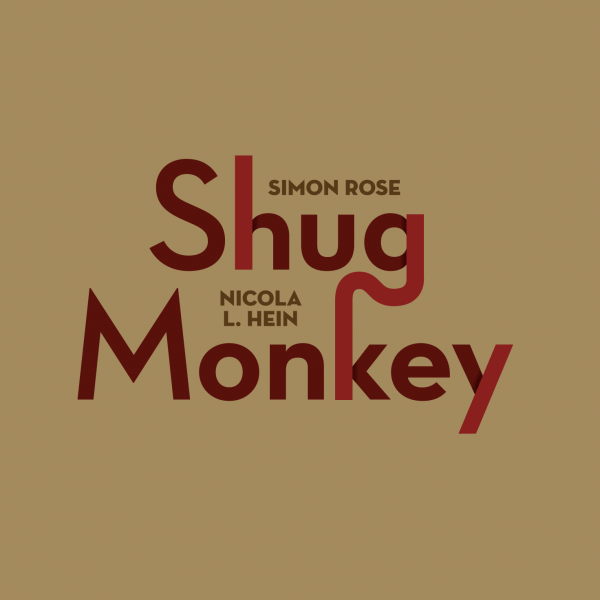 ‘Shug Monkey’ CD launch, Simon Rose baritone saxophone, Nicola Hein electric guitar plus Marcello S. Busato - Drums, Percussion with t.b.c. Loophole, Boddinstr. 60, 12053 Berlin. 21h. Deniz Peters piano, Simon Rose baritone saxophone. ‘Improvisation: Philosophical Re-Scriptions'. Maschinenhaus der Kulturbrauerei, Knaackstraße 97, 10435 Berlin. Rienhard Gagel piano, Moog synthesiser, Jean-Charles Francois percussion, Simon Rose baritone saxophone, Christopher Williams double bass. Exploratorium, Mehringdamm 55, (Sarotti-Höfe), Aufgang C, Berlin 10961. 20h. ‘Waiting Room’ Trinidad Martinez, Ingo Reulecke dance; Simon Rose baritone saxophone (more details soon). Hamburg. Adam Pultz Melbye double bass, Paul Stapleton Bonsai Sound Sculpture, Simon Rose baritone saxophone. Simon Rose baritone saxophone, Kriton B daxophone. Zwitschermaschine Gallery, Potsdamer Straße 161, 10783 Berlin. Stefan Schultze piano, Yoko Arai piano, Magdeburg Choir, Simon Rose baritone saxophone, Ingo Reulecke, Michiyasu Furutani, Kai Evans, Stefania Petracca, Akemi Nagao, Trinidad Martínez, Anni Lattunen, Ingo Reulecke, David Bloom dance. Artist Homes, Hohenzollerndam 120, 14199 Berlin. Location: http://artist- homes.com/location.html At 17.00 and at 20.00. Adam Pultz Melbye double bass, Paul Stapleton Bonsai Sound Sculpture, Simon Rose baritone saxophone. Sonic Art Research Centre (SARC), Queen’s University, Belfast. 13.00 – 14.00. Joshua Weitzel shamisen, Simon Rose baritone saxophone. Plus tbc. Klangkeller, Kastienallee 77, Berlin 20.00 h.
Simon Rose solo baritone saxophone plus book presentation: The lived experience of improvisation. Reid Concert Hall, Edinburgh College of Art, The University of Edinburgh. 16.00-17.30. 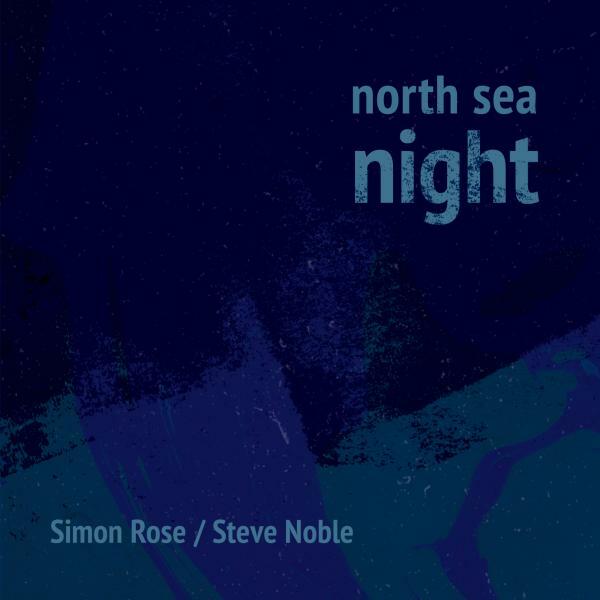 Simon Rose baritone, alto saxophone; Steve Noble drums. Jazz North East, Bridge Hotel, Castle Square, Newcastle upon Tyne, UK. 20.00. University of the Arts, Graz, Austria. SR book presentation: ‘The lived experience of improvisation: in music, learning and life’, discussion and solo baritone saxophone. Exploratorium, Mehringdamm 55, (Sarotti-Höfe), Aufgang C, Berlin 10961. 20h. Kriton B daxophone, Simon Rose baritone, alto saxophone.Plus Ilia Belorukov wind, Lauri Hyavarinen guitars, Antti Virtaranta double bass. Neu West Berlin, Kurfürstenstraße 145, 10785 Berlin, 19h. BUNKER ENSEMBLE: ONE Stefan Schultze prepared piano, Roy Carroll electro-acoustic media, Adrian David Krok drums, Simon Rose baritone saxophone. Dance: Mireia Aragones, Evan Harris Foster, Andrew Wass, Ingo Reulecke, Lisanne Goodhue, Antje Andreas, Sabrina Miraillès, Johannes Bruhn, Zack Bernstein, Mikael Shapira, Jenny Döll, Heike Kuhlmann, Jana Schildt, Jonas Wentritt, Anir Leben, Nadia Schwarzenbach. Artist Homes, Hohenzollerndam 120, 14199 Berlin. Location: http://artist-homes.com/location.html At 16.30 and at 20.30. Stefan Schultze piano, Dag Magnus Narvesen drums, SR baritone, alto saxophone. T-Berlin, Fidicinstrasse 38, Kreuzberg, Berlin 20.30 door, 21.00h music. 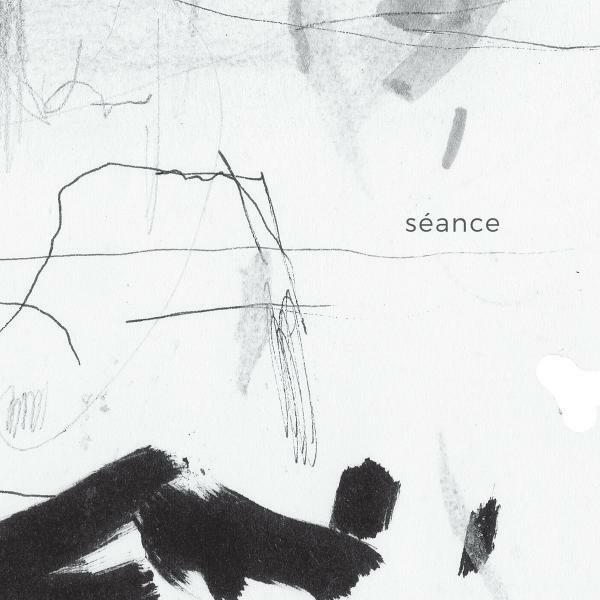 Set 1.: Simon Rose - Saxophon, Andrew Wass - Tanz, Ingo Reulecke – Tanz. Set 2: Howard Katz - Tanz, Musik - N.N. Set 3: Michael Shapira - Tanz, Antti Vitaranta – Bass. Tanzfabrik, Möckernstr. 68, 10965 Berlin. Eintritt 5 / 5 €. Common Ground (series). 18.00 h.
Deniz Peters piano, Simon Rose baritone saxophone. Graz, Austria. Toby Delius tenor saxophone, clarinet, Michael Griener drums, Adam Pultz Melbye double bass, Simon Rose baritone, alto saxophone. 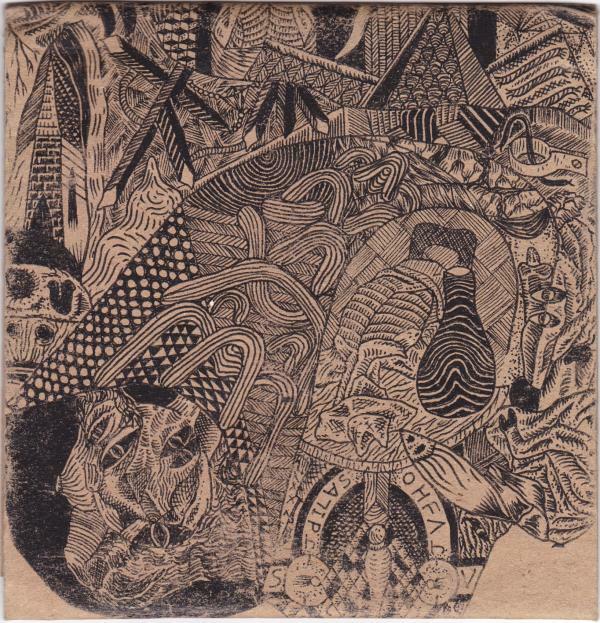 Te_ Ka_ Mo_ Lo <#8 at T-Berlin, Fidicinstrasse 38, Kreuzberg, Berlin 20.30 door, 21.00h music. Paul Stapleton sound sculpture, Simon Rose baritone, alto saxophone. Neu West Berlin, Kurfürstenstraße 145, 10785 Berlin, start 20h. TE_>KA_>MO_>LO<#7. Set 1: Peter van Huffel alto saxophone, Simon Rose baritone saxophone. Set 2: Olaf Rupp guitar, Rudi Fischerlehner drums, Matthias Müller trombone. T-Berlin, Fidicinstrasse 38, Kreuzberg, Berlin 20.30 door, 21.00h music. Andrew Wass, Ingo Reulecke dance, Simon Rose baritone saxophone. Tanzfabrik, Möckernstr. 68, 10965 Berlin. Eintritt 5 / 5 €. Common Ground (series). 18.00 h.
‘Uncool Residency’ Poschiavo, Switzerland. Concerts 23rd and 25th March Poschiavo and Tirano, Italy. More details soon. Simon Rose baritone, alto saxophone, Andreas Willers guitar. Sound Art Modules, Ziegrastrasse 11, 12057 Berlin. (Seitenstrasse Zweiter aufgang links) 20.30. Ingo Reulecke dance, Simon Rose baritone saxophone. The Encounter. 11.20h. Gesellschaft für Tanzforschung, Orff Institute of the University Mozarteum/Salzburg. HZT Open Lecture: Simon Rose: “The Human Capability of Improvisation”. Followed by duo Simon Rose baritone saxophone, Roy Carroll electronics and speaker. Hochschulübergreifendes Zentrum Tanz Berlin, Uferstr. 8/23, 13357 Berlin. 18h Free. Simon Rose baritone, alto saxophone, Andrew Wass dance. ‘60 minutes’. Mime Centrum, (Studio 2), Kunstquartier Bethanien, Mariannenplatz 21,10997 Berlin. 20h. Simon Rose baritone saxophone and others tbc. Sound Art Modules, Ziegrastrasse 11, 12057 Berlin. (Seitenstrasse Zweiter aufgang links) 20.30. The Wandering Artist’s Café (Site-specific, multi-disciplinary performance). Anja Weber, Wasp Summer, Julia Reidy, Maya Raghavan, Olive Bierenga, Otto Ramstad, Simon Rose, Richard Scott, Sam Andrea. Plus Theatre Scouting talk. K77, Kastanienallee 77, 10435 Berlin. 20.30h. Simon Rose baritone-alto saxophones. Eric Wong guitar + full program. Mirror-Mirror @ GREENHOUSE, Gottlieb-Dunkel-Str. 43/44. 12099 Berlin 20h. Simon Rose in Graz, Austria. Peter van Huffel alto saxophone and Simon Rose alto-baritone saxophones. La Betto Lab, Okerstrasse 43, Berlin. Music at 8.30. 2 sets. Out of the blue Jenny Haack, Akemi Nagao, Manuela Tessi dance. Adam Pultz Melbye double bass, Simon Rose baritone saxophone, Friederike Wendorf flute. EDEN STUDIOS Breite Strasse 43 / 13187 Berlin. Stefan Schultze prepared piano, Simon Rose baritone, alto saxophone. Loft, Köln. Stefan Schultze prepared piano, Ludger Hennig live processing,, Simon Rose baritone alto saxophone. KKP Leipzig. Adrian David Krok drums, Rieko Okuda piano, Antii Virtaranta double bass, Simon Rose baritone-alto saxophones. GREENHOUSE, Gottlieb-Dunkel-Str. 43/44. 12099 Berlin 21h. Viv Corringham voice and sound recordings, Tristan Honsinger cello, Simon Rose baritone-alto saxophones. 3 solos and 1 trio. Bonobo at GREENHOUSE, Gottlieb-Dunkel-Str. 43/44. 12099 Berlin 21h. Tusk Festival, Gateshead, UK. ‘Klangfarben’. Performance/installation. Julie Myers artist, Simon Rose baritone saxophone, Pascal Nichols drums, John Pope double bass (Saturday evening). Devin Gray drums, Adam Pultz Melbye double bass, Simon Rose baritone/alto saxophones. Bonobo, 1st floor, GREENHOUSE, Gottlieb-Dunkel-Str. 43/44. 12099 Berlin 21h. Susana Santos Silva trumpet, Simon Rose alto-baritone saxophones, Meinrad Kneer double bass, Rudi Fischerlehner drums Bonobo, 1st floor, GREENHOUSE, Gottlieb-Dunkel-Str. 43/44. 12099 Berlin 21h. Music, dance and improvisation panel Simon Rose, Emilio Gordoa and Meinrad Kneer, Improvisation Xchange Festival, Eden, Breite Strasse 43, 13187 Berlin. 18h. Stefan Schultze prepared piano, Simon Rose-baritone/alto sax. Loft, Cologne, Germany. Arvind Granga guitar, Friederike Motzkau flute, Simon Rose saxophones, Manuela Lucia Tessi, Annapaola Leso, Mata Sakka, Marcela Giesche dance. Club der Polnischen Versager, Ackerstrasse 168, 10115 Berlin. 20:30 doors open 21h start. ‘WWI’ a tone-poem for radio by Dom Bouffard – Simon Rose baritone sax. Rui Faustino drums, Ben Lubin guitar, Simon Rose baritone/alto saxophones. @ The Sweatshop – please send a message (below) for address and details. Andrew Wass dance, Simon Rose baritone/alto saxophones. Uferstudios. (Studio 14). Uferstrasse 8, 13357 Berlin. 'Mimentia I' Maya Dalinsky dance and Simon Rose baritone saxophone. Villa Neukölln, Hermannstrasse 233, 12049 Berlin. Performing Presence, Improvisation Xchange Berlin 31.7-10.8 Festival. Andrew Wass dance, Simon Rose alto/baritone saxophones (part of Berlin Platform). Eden, Breite Strasse 43, 13187 Berlin. 19h. Christopher Williams double bass & Simon Rose baritone/alto alto saxophones. Aurey Chen cello & Andrea Parkins + David Birchall. Auxxx, Kastienallee 77, Berlin 21.00 h.
Simon Rose baritone/alto saxophones and Paul Stapleton Bonsai Sound Sculpture. Studio 1, PATS Building, University of Surrey, Guildford, Surrey GU2 7XH. 2.00 p.m.
12051 Berlin. 20h – 22h. Paul Stapleton Bonsai sound sculpture Simon Rose baritone/alto alto saxophones. Plus Elena Kakaliagou french horn, Margarita Kourtparadisou percussion. Auxxx, Kastienallee 77, Berlin 21.00 h. door 22.00h music. Simon Rose baritone/alto saxophones and Stefan Schultze prepared piano + tbc. ‘Over the Top’ 78 Kingfield Road, Sheffield. 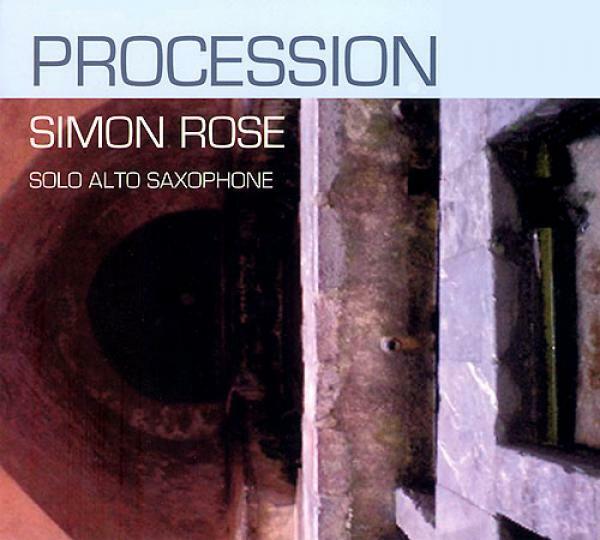 Simon Rose baritone/alto saxophones and Stefan Schultze prepared piano + Chiz and tbc. View Two Gallery: 23 Mathew Street, Liverpool, L2 6RE. Ausland Lychener Str. 60 10437 Berlin 21.00h Clauida Binder piano with Simon Rose baritone/alto saxophones. Misa Shimomura piano. Dietrich Eichmann piano with Astrid Weins double bass. 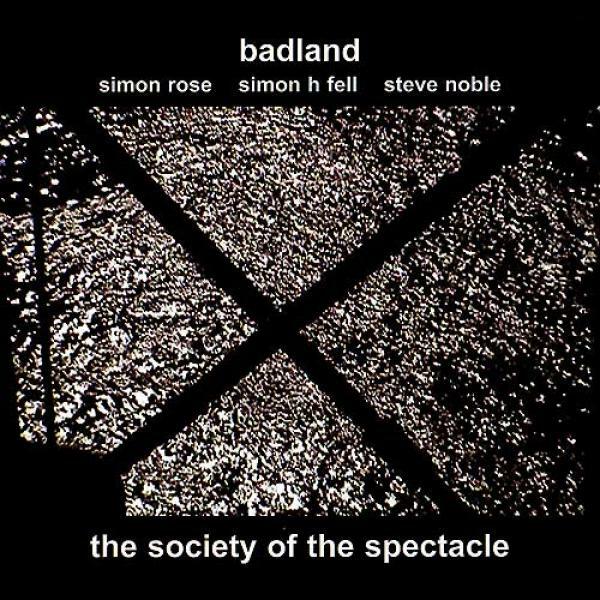 BADLAND Simon Rose baritone/ alto sax, Steve Noble drums, Simon Fell double bass @ Frakture: Everyman Bistro, Hope Street, Liverpool, 9.30 p.m.
Theaterkapelle Boxhagener Straße 99 10245 Berlin, 9.00 'sound art modules' Simon Rose baritone/alto saxophone, Alan Gleeson electronics. Sonic Arts Research Centre (SARC), Queen's University, Belfast. Ensemble directed by Evan Parker. Biliana Voutchkova - Violin Andrea Velas Sanz - Viola Klaus Kürvers - d. bass Heiko Raider - voice Simon Rose - alto and baritone sax Dirk Ahlbom - Reeds Micah Rabuske - flutes and clarinets. Plus small groups from the Collective Free Improvisation class. @ The Amadeus Centre, 50 Shirland Road, London W9 2JA. @International Society for Improvised Music. International Society for Improvised Music, Second Annual Conference. @ Red Rose Club. 129 Seven Sisters Road, LONDON, N7 7QG. UK. Bar & restaurant on site. @ Red Rose Club, 129 Seven Sisters Road, LONDON, N7 7QG. UK. @ Jazz House, 1510 8th Street, Oakland, California, USA. @ 21 Grand, 416 25th St. (at Broadway), Oakland, California, USA. @ Mama Buzz, 2318 Telegraph Avenue, Oakland, California, USA. @ Luggage Store, 1007 Market Street, 6th Street, San Francisco, California, USA. @ Jazz House / Performance Space 1510 8th St., Oakland, California, USA.